All lessons, with the exception of Chinese, are conducted in English. For this reason children have to demonstrate, at an informal interview, that they can both speak and understand English. From Year 2, children need to be able to read and write English as well, at a level commensurate with their peers. Eligibility for admission to our school also depends on the residential status of the child, as determined by the Immigration Department. 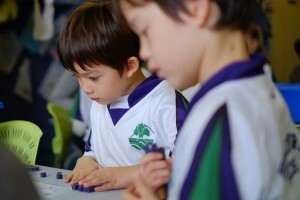 Children in Hong Kong on a visitor or student visa are not eligible for a place in an ESF school. When a place becomes available in the appropriate year group an interview will be arranged for the child on the top of the waiting list. When coming to school for the interview it is important that you bring the required documentation with you as no place can be offered until we have verified these documents. Starting from the academic year 2013-14, a parent statement and an interview with parents will be required to contribute to the school’s decision making process. To be considered for admission into Bradbury School you have to be residing in our catchment area. If your family is overseas pending a move to Hong Kong we can receive the application form if it includes a letter from your employer confirming employment and documentary proof of your address where you will be residing in Hong Kong. 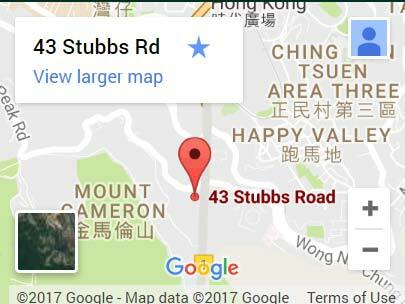 Our school zone is from Stanley Village and Chung Hom Kok to Repulse Bay Road through Repulse Bay and Deepwater Bay to the junction of Wong Chuk Hang Road., Nam Fung Road and Shouson Hill. Wong Nai Chung Gap Road, including Tai Tam Reservoir Road and Hong Kong Parkview. All of Stubbs Road and Mount Nicholson. Excludes Kennedy Road (which is part of Peak School). Happy Valley area: Tung Shan Terrace, Shiu Fai Terrace and the area south of Happy Valley, including upper Blue Pool Road, Sing Woo Road, Shan Kwong Road and all roads south of the bus/tram terminus at the junction of the Blue Pool, Sing Woo and Wong Nai Chung Roads. South Horizons in Ap Lei Chau. 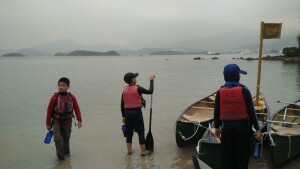 Lamma Island and south Lantau Island including Discovery Bay. * Priority for interview is subject to having attended kindergarten for a minimum of two terms prior to the applicable January Year 1 interview period. Students recently arrived from overseas are exempt from the two terms requirement. Students graduating from K2 in the first year of operation of the new Tung Chung kindergarten are also exempt. For all current year groups we will accept application forms at any time of the year. Interviews will only be held when a vacancy arises. Parents of students who are joining an ESF school from August 2015 will be required to pay a one off, non-refundable capital levy (NCL) when they accept an offer of a school place. For more information on this please click this link. For children eligible for the Year One intake, applications are processed at ESF Centre a year ahead of entry. This means that for children born in 2013 who are due to start in our school in August 2018, application forms will be accepted between 1 September and 30 September 2017 at ESF Centre. Full details of the application process are on the ESF website link below. There are very often lengthy waiting lists for places in our school. The waiting lists are organised according to a priority system which gives preference for children who cannot attend a local school. Within this system names on the list are kept in order of the date which we received the completed application form. It is important that all questions on the form are answered as fully as possible to help us make a decision on the status of your child’s application. If you wish to apply for admission to Bradbury School please visit the ESF’s Website and follow the on-line application process. We offer school tours to any parties or prospective parents who are interested in our school. They are usually scheduled on every Wednesday morning during school term time. Appointment should be made prior to the tour, presumably at least one week in advance. Reservation for the tour is on a first-come-first-served basis and based on the school schedule. We will notify parents the availability of the tour on the requested date by phone or email. Reservations can be made by contacting Ms. Kellie Ng at (852) 2574 8249 or email at admissions@bradbury.edu.hk. Children whose parents apply for Individual Nomination Rights will gain the opportunity for priority placement in an ESF school, provided that they meet the admissions requirements. 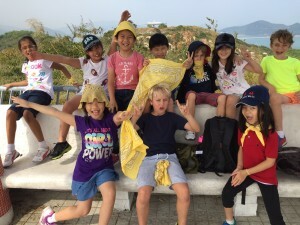 The scheme costs HK$500,000 for each child and it will be available for all year groups including Years 1 and 6. The number of places offered to ESF Individual Nomination Rights Scheme applicants will be limited to 150 across all ESF schools for the 2015-16 academic year. Individual Nomination Rights are available for purchase by parents. Please click here for details. Corporate Nomination Rights are available for purchase by companies. Please click here for details. Parents are required to submit this notice for informing the departure of your children. You should provide relevant information in this form with the signature and return to Admissions with hard or scanned copies for the withdrawal process. Parents should notify the school 30 days before the last day of school for the departure so as to facilitate the process. The form can be downloaded here. You can also acquire copies from the School Office or the Admissions Officer directly.